In the almost two-minute-long video, fans see the "Formation" singer and her dancers rehearsing for the show and catch glimpses of Beyoncé with her three children. Beyhive, mark your calendars, because Netflix is releasing a new documentary on Beyoncé and her iconic Coachella performance. Over the weekend, the video-streaming service teased the project by posting a cryptic image on social media of the word "Homecoming" written in Greek letters on a yellow background. 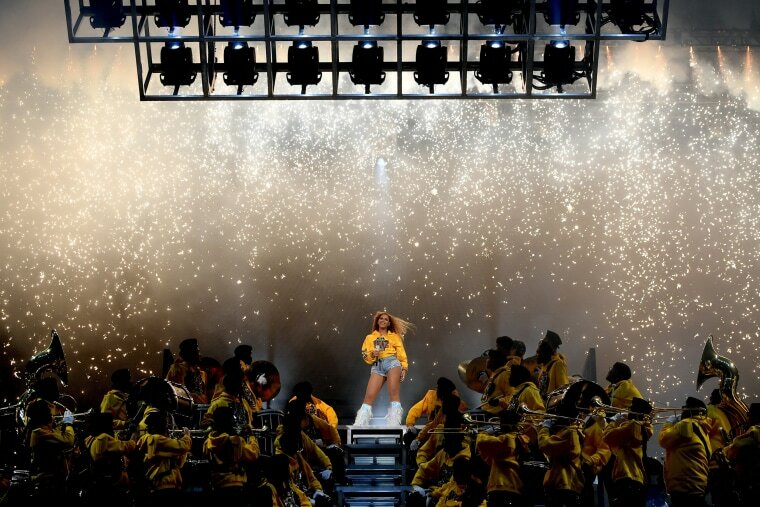 It sparked an immediate buzz from the Beyhive, the name given to the singer's fanbase, that the photo was referencing the singer's college marching band-themed performance last April at the Coachella Valley Music and Arts Festival. Netflix confirmed the news Monday releasing a trailer for "Homecoming: A film by Beyoncé." The documentary will drop April 17 and will provide "an in-depth look at Beyoncé's celebrated 2018 Coachella performance from creative concept to cultural movement," Netflix wrote in a tweet. In the almost two-minute-long video, fans see the "Formation" singer and her dancers rehearsing for the show and catch glimpses of Beyoncé with her three children, including an adorable Blue Ivy Carter performing some of her mom's dance moves. As the clips flash across the screen, Maya Angelou's voice is heard in the background. "I want to be representative of my race — the human race. I have a chance to show how kind we can be, how intelligent and generous we can be. I have a chance to teach, to love and to laugh. I know that when I finish doing what I'm sent here to do, I will be called home and I will go home without any fear, trepidations, wondering what's going to happen," Angelou says. Beyoncé became the first black woman to headline the festival. Her set included appearances by Destiny's Child members Kelly Rowland and Michelle Williams, and a cameo by her husband, Jay-Z.